Lake Chelan Ferry Ride: Breathtaking — . Tucked into the north-central woods of Washington is slender Lake Chelan. She measures just over 50 miles long, about two miles wide and is deeper than the Empire State Building is tall—making her the third deepest freshwater lake in the United States. The resort town of Chelan rests at one end of the lake and Stehekin, a hamlet at the base of a towering mountain range, is at the other. Breathtaking. That’s one adjective that fits this area. Another is remote. Look on any map. There are no roads that lead into Stehekin. The only way to get there is either by foot or by boat. We hopped on a ferry that serves triple duty. 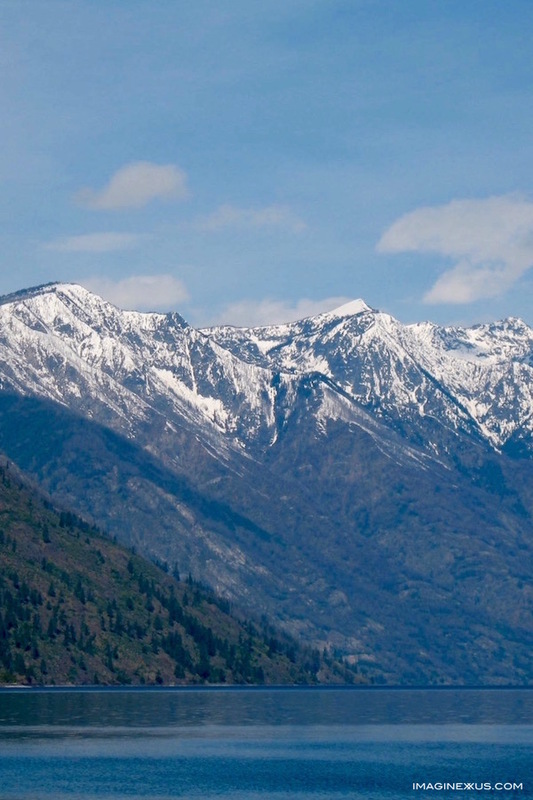 In addition to providing transportation, it also brings the mail and other supplies to the 100+ residents of Stehekin. After our two-minute tour of the town, we enjoyed a picnic lunch by a waterfall before climbing back aboard. The morning’s blue skies turned to shades of gray and torrential rain during our return journey. Nature’s scenery and drama took our breaths away. If you enjoyed this story in our series, you may also enjoy two other stories about the beauty of Washington in the North Cascades National Park or the Methow Valley. We also invite you to check out the books in our series. We thought you might enjoy some more photos from a ride on the Lake Chelan ferry to Stehekin.